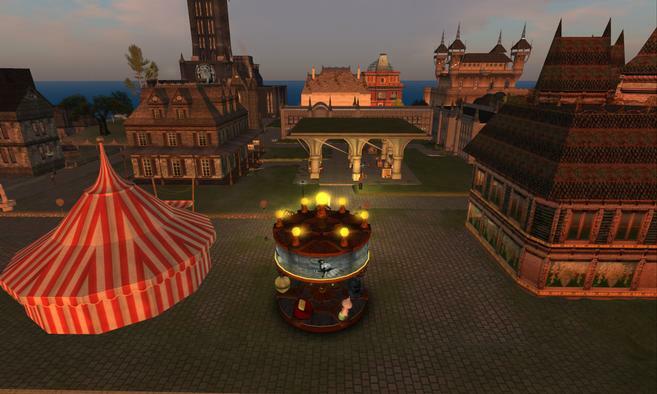 A celebration marking the NeoVictoria Project’s eigth year in Second Life! This live radio event, broadcast on Radio Riel’s Steampunk channel, will celebrate “International Talk Like A Pirate Day”. Miss Gabrielle Riel to Disc Jockey. There will be prizes for best in male and female costumes! Argh!!! About Radio Riel: An Internet-based public radio station supported by listeners and sponsors, Radio Riel produces six audio streams providing a unique selection of music, spoken-word, drama and additional programming to inform, educate and entertain, twenty-four hours a day, seven days a week. Website: http://radioriel.org/. Contact for Radio Riel: Gabrielle Riel. About The NeoVictoria Project: NeoVictoria is a unique dark roleplay platform that brings creative people together in a supportive and collaborative environment. The goal of The NeoVictoria Project is to create a virtuous circle where roleplay becomes filmed story. Website: http://www.neovictoria.net. Contact for NeoVictoria: Asil Ares. Join Gabrielle Riel and the NeoVictoria community!